The literary anthology that has been called “ambitious” (O Magazine) “strikingly international” (Boston Globe), and “sure to become a classic” (San Francisco Chronicle), Freeman’s continues to push boundaries in diversity and scope. 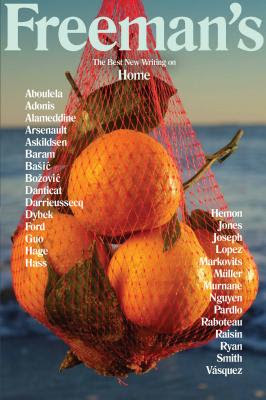 In the latest issue, as the refugee crisis continues to convulse whole swaths of the world and there are daily updates about the rise of homelessness in different parts of America, the idea and meaning of “home” is examined by established and emerging writers. Greenlight celebrates the release of Freeman’s #3: Home with a reading and panel from contributors Barry Lopez, Kerri Arsenault, Lawrence Joseph, and Emily Raboteau, hosted by Freeman’s founder and editor John Freeman.